Should You Renounce Your U.S. Citizenship for Tax Reasons? Renouncing your citizenship is not an action that should be performed without weighing all of your options. Many individuals decide to renounce their citizenship for the possible tax benefits of being free from the complex annual filing system that the United States uses. However, depending on your financial status, renouncing your citizenship may cause you to incur expensive taxes. If you or a family member is considering renouncing your citizenship for tax purposes, you should consult with an experienced tax planning CPA. Ted Kleinman, the founder of US Tax Help, possesses over 30 years of combined legal experience that he will use to help you resolve your tax issues. US Tax Help explains whether you should renounce your U.S. citizenship for tax reasons. How to Renounce Your Citizenship? Renouncing your citizenship means that you request a Certificate of Loss of Nationality from a U.S. Consulate. Renunciation should not be confused with the relinquishment of citizenship which requires that a citizen perform an expatriating act. For example, an act that could be construed as a relinquishment would be to join the army of another country. Informing the consulate employee that you no longer wish to be a U.S. citizen is enough to renounce your citizenship. While the renunciation of citizenship was once a free endeavor, it now will cost $2,350 to complete the procedure. While this fee may keep some from seeking a renunciation, others may see this as reasonable trade to escape from new U.S. tax rules. As mentioned, many people renounce their citizenship to avoid new tax rules in the United States that add extra layers and fees to tax preparation. One tax regulation that caused several people to consider renunciation is the Foreign Account Tax Compliance Act of 2010 (FATCA). The purpose of this law is to target U.S. citizens that possess bank accounts, property, and other financial assets located outside the country. FATCA requires citizens to report financial accounts and even any substantial ownership they may have in a foreign company. Another aspect of U.S. tax law that citizens may use renunciation to avoid is double taxation. The U.S. has a tax system that will tax citizens anywhere in the world, despite where a citizen may have earned their income. 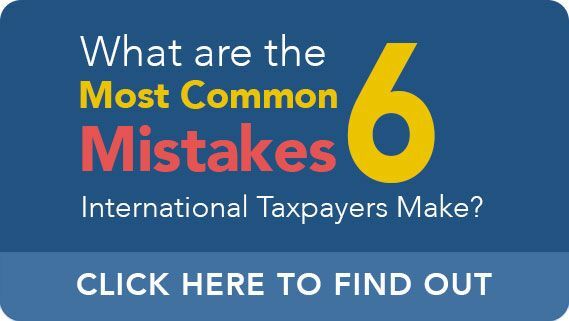 If you live in a foreign country, but you are still a U.S. citizen, this will result in a situation where you must pay the taxes of the country you reside in and U.S. taxes. It is important to note that renouncing your citizenship will not immediately eliminate your tax obligations. Any previous tax obligations will carry over until certain documents are filed. For example, you must file a Form 8854 and file a copy of this form with the Department of Treasury after renouncing your citizenship. In addition to filing a Form 8854, you must also have filed your taxes for the past five years. If you are determined to be a covered expatriate, you must pay an exit tax before you can renounce your citizenship. While the first $713,000 of capital gains is not taxed, you may still end up with a hefty tax bill. There are some qualified individuals who can renounce their citizenship without being subject to taxes based on their assets or income. For example, if you were born as a dual citizen of Canada and the United States, you can renounce your citizenship without worrying about those obstacles. Additionally, if you are under the age of 18 ½, you can also renounce your citizenship without these tax obligations. However, both exceptions are only valid if the individual did not live within the U.S. for 10 of the last 15 years. You must also have filed taxes correctly for the past five years. There are various tax benefits to renouncing your U.S. citizenship, like avoiding double taxation. However, in most cases this process is irreversible. This means you should be completely aware of all the rights you are giving up and determine whether increased tax freedom is a fair trade-off. Certified public accountant Ted Kleinman is ready to help you determine whether renunciation of citizenship would be appropriate for you and your family. To schedule a confidential consultation, call US Tax Help at (541) 923-0903, or contact us online.